It was a weekend of heavy downpour but we made it to Rizal Park to catch Varekai, a Cirque du Soleil touring show currently staging in Manila till July 24. All I can say is if you haven’t gone to see it yet, I recommend that you get yourselves some tickets. It’s worth it. 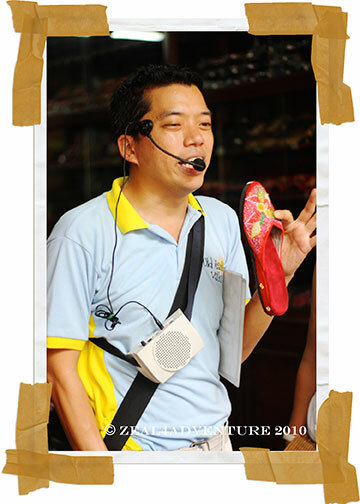 Having seen Zaia in Macau, I wasn’t sure if a touring group would be as impressive. The show proved me wrong. I would like to think that the effort is on par if not more – from the tents to the seats to the stage, not to mention the props, costumes and the cast and crews that they brought with them – quite a production. 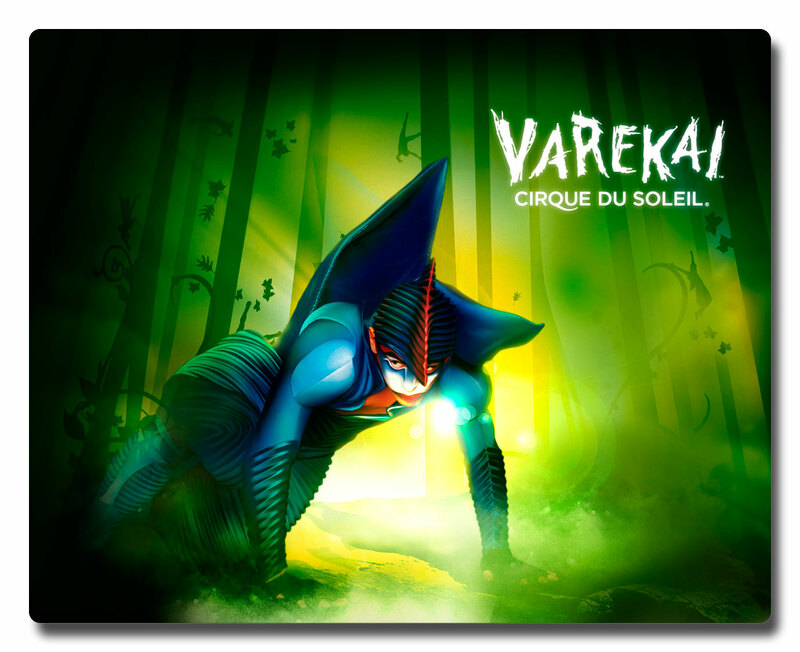 Known for its mind-blowing yet gracefully choreographed acrobatic stunts, wonderful music and colorful costume, this French Canadian entertainment company has always been more than your average circus act. An amazing circus show that found its way here is certainly a waste if missed. 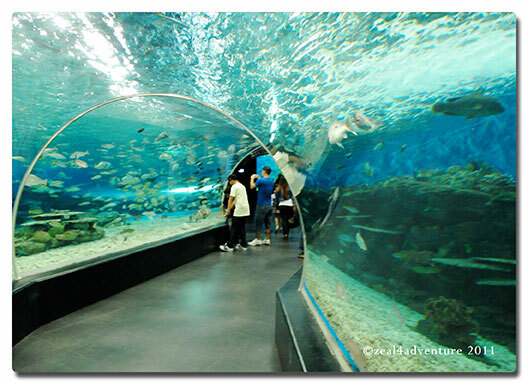 We decided to book an overnight at Hotel H20 and check out the Manila Ocean Park the next day. While we’re at it – shows-wise, I mean. Cinemalaya starts this weekend through July 24. Looks like an impressive line up of Filipino Indie films that’s showing at the CCP and Greenbelt 3 theaters. 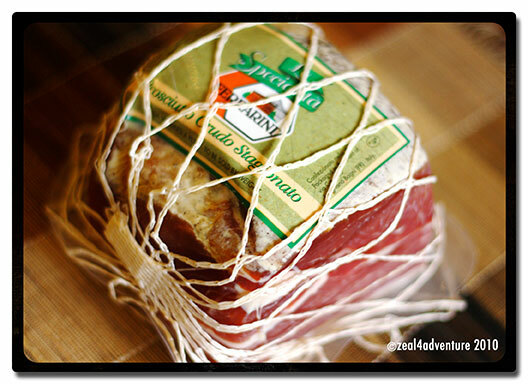 A colleague came back from Parma, Italy and brought home for me a whole chunk of… Parma ham, what else? Oh my! How the hell do I slice this beauty nice and thinly? So it sat on my ref for forever. But hooray to Santis… they agreed to slice this whole slab for me (for a fee of course but who cares for as long as I get to partake of it and not just drool whenever I open the ref) and so this has become a usual fare lately. 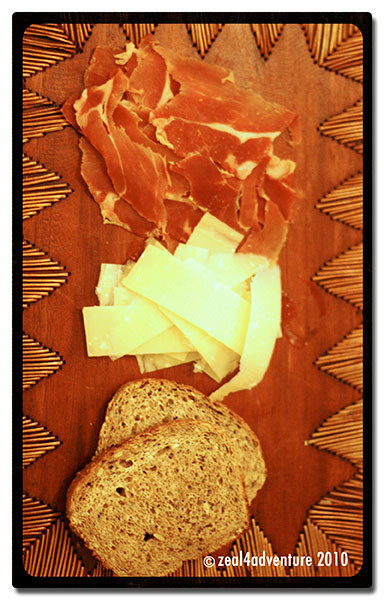 Team it up with cheese and bread, eaten either as is or as a sandwich… heaven. Love it and could never tire of it. Vacuum packed, it goes a long way too. The very nice staff of Santis asked me if I wanted the ends. “It’s good for soups and stews”, they suggested, so I asked them to throw that in too. And this is how I used it. Not (yet) on a soup or stew dish. I always have veggies that needed to be eaten yesterday. So some cubed ends of the ham got thrown into a medley of stir-fried veggies (carrots and string beans) for flavor and some guilty pleasure to an otherwise healthy dish. Instead of rice, I felt like having it with quinoa. It’s a highly nutritional seed that is prepared and eaten like whole grain such as rice or barley. I like it because I like the firm and slightly chewy texture. I usually cook it with milk and sweetened with honey or Agave syrup. But I came across a savory recipe that piqued my curiosity. 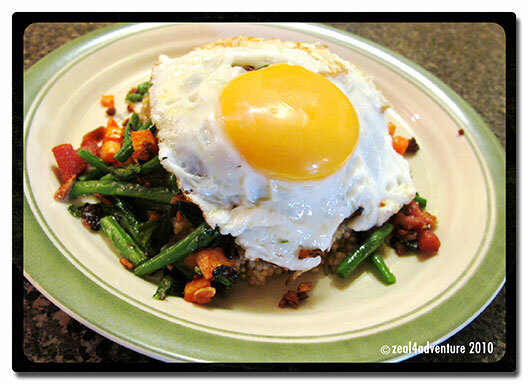 Topped with fried egg… super yum! Where to find Quinoa in the Philippines? You can find it in any Healthy Options store in the metro. 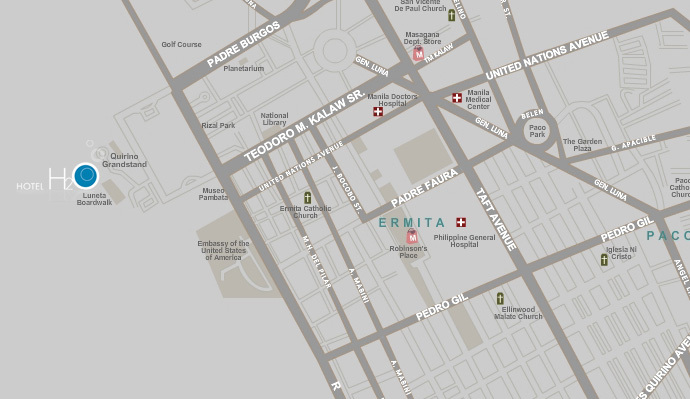 Possibly, no definitely the best way to see Manila “on foot” as their leaflet suggests and I completely agree. It’s literally experiencing Binondo or Chinatown one bite at a time. I am of Chinese descent but I don’t really know my way around Chinatown. My parents would occasionally take us there for lunch or dinner when we were growing up but really, I am clueless as to their whereabouts. 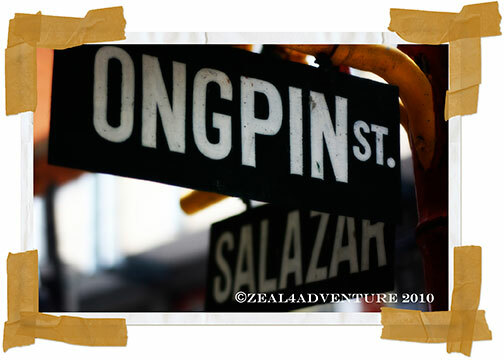 Binondo is like a maze, although the street names are all very familiar, I have no sense of where they are in relation to each other. Leave me there and I am helpless. I grew up with home cooked Chinese food. Not the stuff that you eat in “Cantonese-style” Chinese restaurants in the metro, but simple home cooked meals that really is more everyday stuff to me than “Chinese”. So taking this tour was somewhat nostalgic and enlightening. We journeyed through old and new adventures. There were food that I grew up with and there are those I encountered for the first time. The places we walked through were likewise familiar, yet unfamiliar. Ivan showing the group a “grandma” slipper that is almost in the brink of deletion. 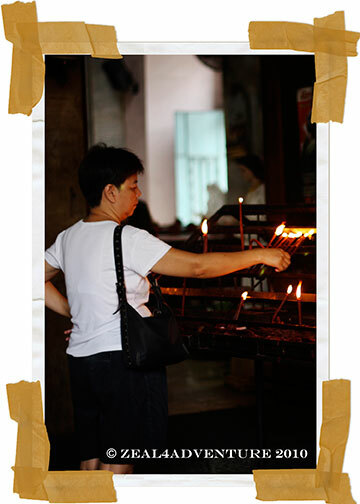 Our gracious host, Ivan Man Dy met us at the Binondo Church located across the Plaza Calderon dela Barca along Quentin Paredes St. It is today a well-known landmark in Chinatown. 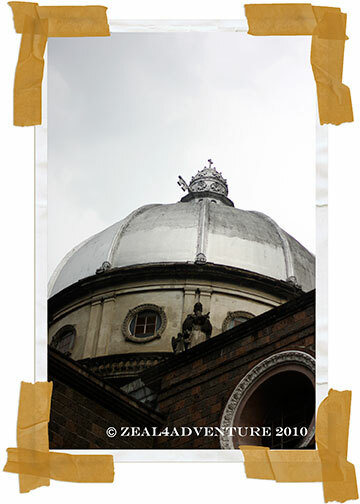 Because the saint once served there as an altar boy, it is also known as Minor Basilica of St. Lorenzo Ruiz. At the Plaza across the church, we talked briefly about how the early Hokkien (Fookien) immigrants arrived from Fujian province in China during the Spanish rule and the time when Binondo was the main center of business and finance in Manila with mainly the Chinese, Chinese mestizos, and Spanish Filipinos anchoring the bustling banking and financial community many decades ago. Today, the community is still vibrant as ever and continues to keep alive its heritage. After a brief reminder of our history, we walked over to a café above Eng Bee Tin where we were served a bowl of “kiampung”, which literally translates to salty rice. 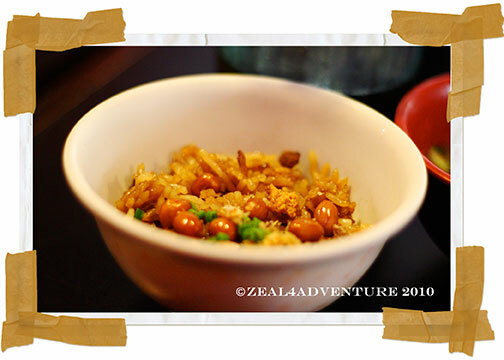 This rice dish is a mixture of pork, chicken, dried shrimps, mushrooms and peanuts mixed together in soy sauce and topped with caramelized and spring onions – a simple dish that reminded me of my childhood, my grandmother, actually. 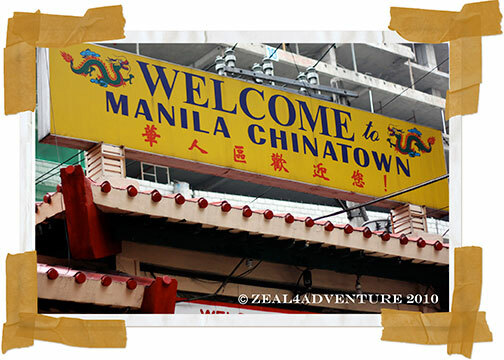 Opened and run by a group of volunteer firemen headed by Gerry Chua, all of its proceeds go to the Binondo and Paco Volunteer Fire Search and Rescue Brigade. So if you find yourself in the area, head on to Café Mezzanine and eat up a storm, every bite you take is a contribution to a noble cause. 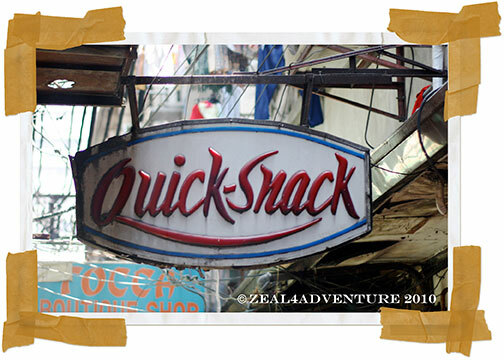 Located at the corner of Ongpin and Yuchengco (former Nueva St) Sts., it opens its doors at 7am and closes at 10pm. We then walked over to a hole in a wall that serves perhaps the best dumplings in town. 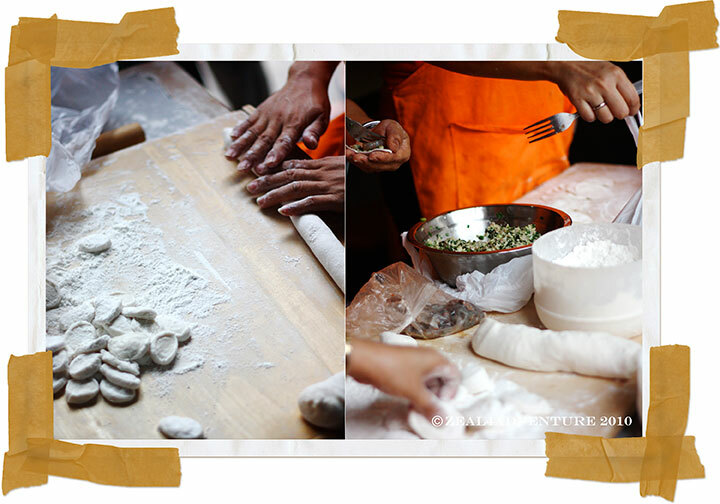 At the storefront (as you enter) there will be someone making fresh dumplings by hand for everyone to see. Owned by new immigrants Ivan calls “bagong salta” (new arrivals) from Northern China, they serve prominent dishes from that region. 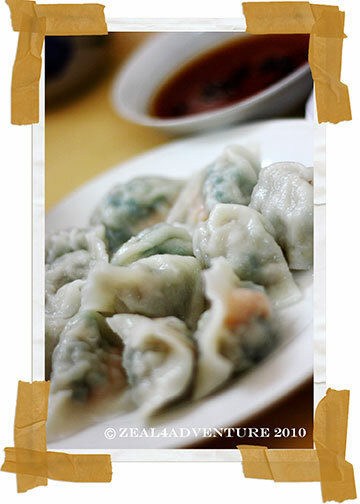 The steamed Kutchay dumpling is a blend of minced pork, kutchay and fresh shrimps – juicy pork dumpling flavored with kutchay and fresh crisp shrimp adding another dimension to the taste of the dumpling. 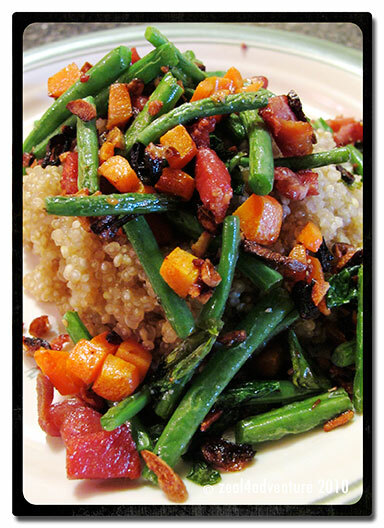 This is truly a wonderful blend of flavors and is heavenly with the soy-vinegar sauce. I loved it so much, I bought some frozen ones to savor more of it at home. Heard that they also make a mean dish of hand-made noodle with Soybean sauce. Must get myself back there to try it. 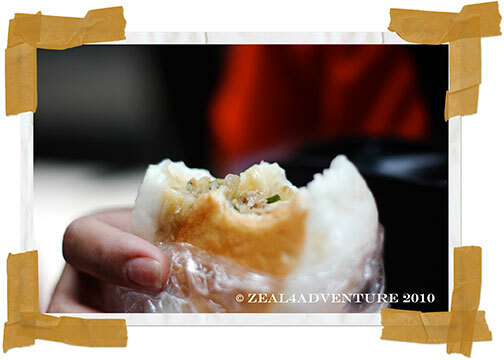 Another favorite and a first for me is fried siopao from a small take-out stall along Benevidez St. Yes folks, this siopao is not steamed but pan-fried. This might be the best tasting siopao I had ever tasted in my life. Not the typical asado filling, this is more like bola-bola siopao but much more tastier. Definitely a must-try. Aside from the siopao, I also bought to munch some sugar sprinkled bicho-bicho (Chinese crullers). This was a favorite and truly a blast from my past! There’s more and best to experience it first hand. The Big Binondo Food Wok. Go book a tour today. And oh… make sure you’re hungry. Gigi’s Custaroon Poppers that melts in your mouth. Aptly named, it is creamy custard with a layer of coconut filled macaroons covered with cocoa powder that I could pop one after the other. Seriously. I was hooked at first bite. Try it! I’m sure you’ll be too. You can also order here. 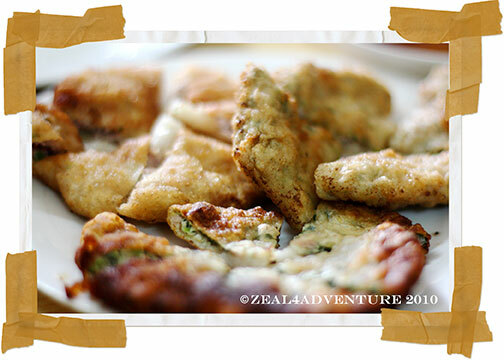 Food is another passion of mine that is high up there with travelling. Truth be told, it is a huge part of my travels and my daily life. 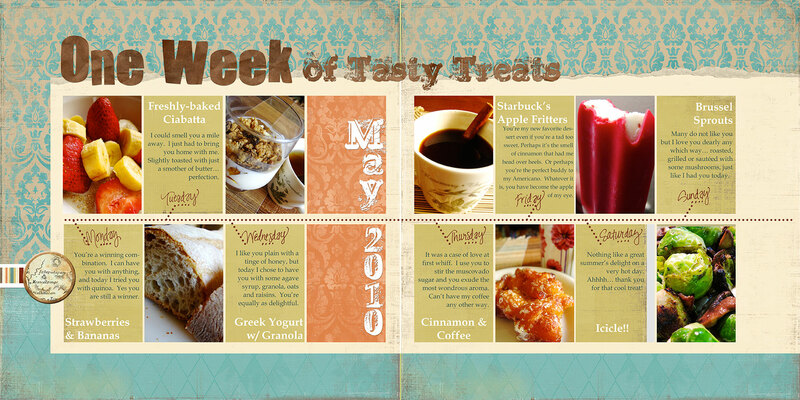 Whether I’m out somewhere or just relaxing at home, I beam with joy if I am able to have my fix of favorite eats. It can be as simple as spam, eggs and baked beans – my all time comfort food or as fancy as escargot. 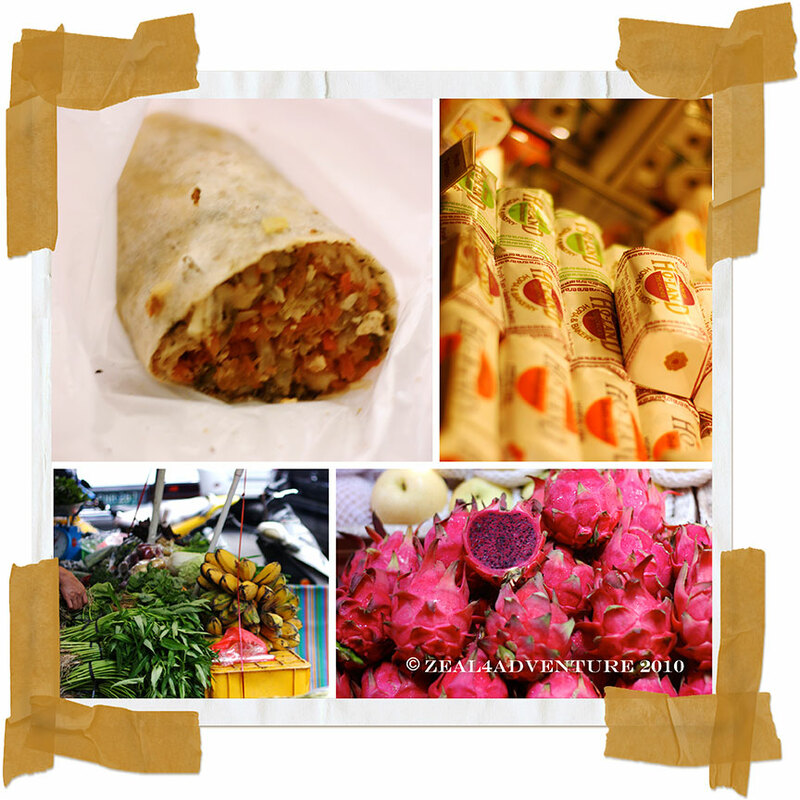 Last week was a happy week for me because a visit to my favorite Saturday market = many a tasty treats. 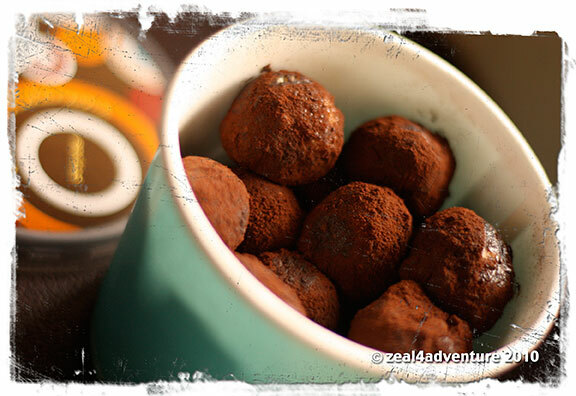 Sharing with you some of my joys from the simple treats I picked up last week. 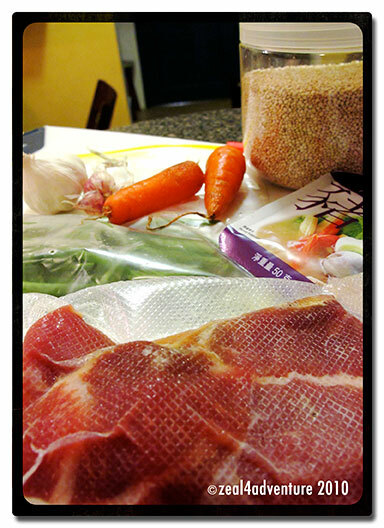 Quinoa: It’s pronounced keen-wah and while it is practically unknown here, it is a staple of the ancient Incas. It is a grain that comes from the Andes Mountains and a 100-g portion is known to be a rich source of iron and vitamin B; a good source of protein; a source of calcium, vitamin B2, and niacin. And best of all, it’s absolutely yummy. You can find this at the grains section in any Healthy Options outlet. Lartisan Boulangerie Francaise: This is where I most-often get my breads. It shares a space with Mikey’s Deli along Jupiter although I seldom get them there. Our neighborhood deli, Santi’s (thank God) also carries their breads albeit a limited range. 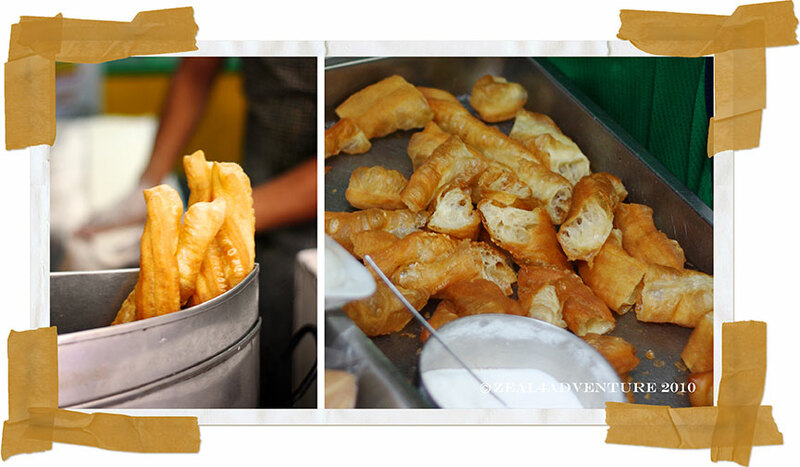 Rizal Dairy Farms: Can be found in Salcedo Market. This is where I get my stash of Greek Yogurt. Picolé: Also found at the Salcedo Market, I chanced on this on my way home and it just called out to me through the scorching heat. I just had to get myself some. And by golly – they’re heavenly! Eat, drink and be merry for tomorrow we diet! Was what my friends and I did two Thursdays ago at Chef’s Table, a newly opened private dining of a different kind right at the kitchen of Chef Bruce Lim. A different kind because you get to watch him prepare the dishes right in front of you while he entertains you with trivias, stories of his stints abroad, etc. For those who spend less time on the couch, Chef Bruce is the Chef/host of Tablescapes and Chef’s Table. He could very well be the up and coming celebrity chef in this side of town. His kitchen serves as kitchen studio for many years to the show produced by Mis en Plus Production and shown at Studio 23, TFC and recently at AFC. Tucked away in the outskirts of the Fort, perched atop his family’s building, this kitchen has found another purpose. It is now becoming a hot spot for freestyle dining. Chef Bruce has opened his home… er… kitchen to the public. It is now open for dining every night except Wednesdays. Fresh lato tossed with tomatoes, red onion and ginger. Drizzled with a citrus vinaigrette. The shooter had fresh oysters topped with a spicy tomato sauce and a shot of sake. I never really like lato because of it’s fishy taste but this salad didn’t have that at all thanks to the ginger and red onion. It was the best lato salad I had ever tasted. Yum! Fresh Ahi tuna and salmon mixed with aromatics and topped with crispy camote chips. A perfect duo! Although meant to be an appetizer, this dish had a great deal of flavor and richness from the salmon, one could only take so much… so perhaps a smaller serving would have been perfect. But I finished it albeit slowly coz it was just too good to put to waste. Clams sautéed in onion and ginger than steamed in white wine, which brought out the flavor of the halaan complementing the sweetness of the roasted tomato cream soup drizzled in basil oil. A different ambrosial twist to your classic halaan soup. Definitely worth a try. For the main course, we had 3 entrees! Monterey style cakes served with a tamarind aioli. This for me is the winner of the night. First of all, it’s crabs and shrimps, two of my most favorite food in the world. The combination was just superb. 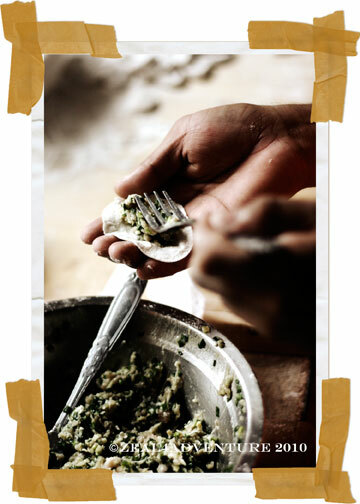 The texture of the crab meat coupled with the crunchiness of the fresh shrimps… ahhh! But the tamarind aioli definitely made a world of difference to this wonderful dish. Love it! Steamed Lapu lapu sat on a bed of ube (yam) mash. Yes Ube. I really love the colors and the presentation of this dish. The meat however, was a bit tough unlike the Chinese-style steamed fish I am used to. Chicken leg deboned and stuffed with a cranberry rouge dressing and oven roasted to perfection. Drizzled with a red wine orange reduction and served with potato gratin. Not particularly fond of stuffed chicken and this one’s not an exception. For dessert, we likewise got 2 kinds! Crème Brule: Enjoyed this a lot, the custard baked perfectly leaving a smooth feel in the mouth. Mango Strudel: Fresh mango tossed in sugar and cinnamon then wrapped in phylo dough. Baked till golden brown. It was the perfect combination of sweet with a hint of cinnamon and crisp. Perfect cap to a great dining experience. In the midst of the hustle and bustle of the city is an ecological park with lush trees, a lagoon an amphitheater, a pool, picnic area complete with cooking and grilling provisions, wall-climbing facilities and even a trail for a mini-horseback ride. La Mesa Ecopark is located in East Fairview Subdivision in the heart of the La Mesa Dam Watershed in Quezon City. 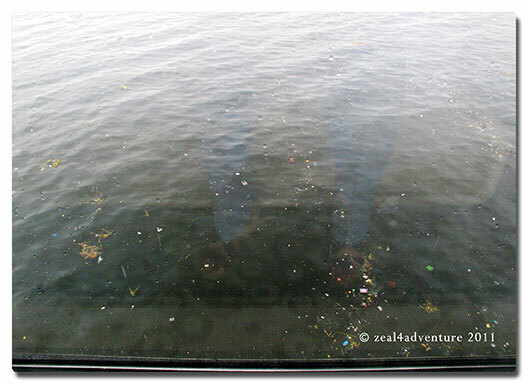 The overflow from the dam goes to the boating lagoon, which I suspect to be cleaner than other lagoons. This nature park is an alternative to posh urban resorts and is ideal for family excursions, company outing and team building activities. Our recently concluded National Sales Conference had us running around the Eco-park with respective teams in tow racing to the finish line. The pleasant surroundings played a significant part in the enjoyment. If you find yourself stumped for a place to bring the brood or your group or just to de-stress, think of the La Mesa Ecopark. By visiting it, you have already contributed in saving the watershed and helped in the conservation of nature. 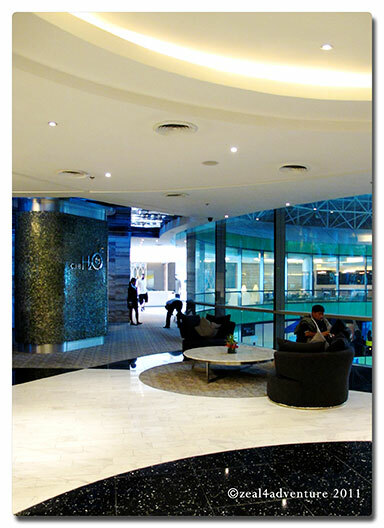 For more information, visit them here. For a glimpse of other worlds, please visit That’s My World Tuesday.